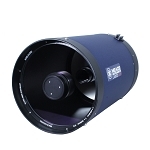 The 10" f/8 ACF Optical Tube Assembly from Meade is an advanced Cassegrain telescope that features a coma-free optical system and comes with a Series 5000 HD-60 25mm eyepiece boasting a 60° apparent angle of view and comfortable 17mm eye relief. Additionally, this optical tube comes with a Series 5000 2" diagonal capable of 99% reflectivity and an 8x50 finderscope equipped with a crosshair reticle. 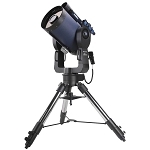 A premium optical tube assembly (OTA)—bundled with these accessories—makes the 10" ACF ready for researchers, backyard astronomers and astrophotographers. 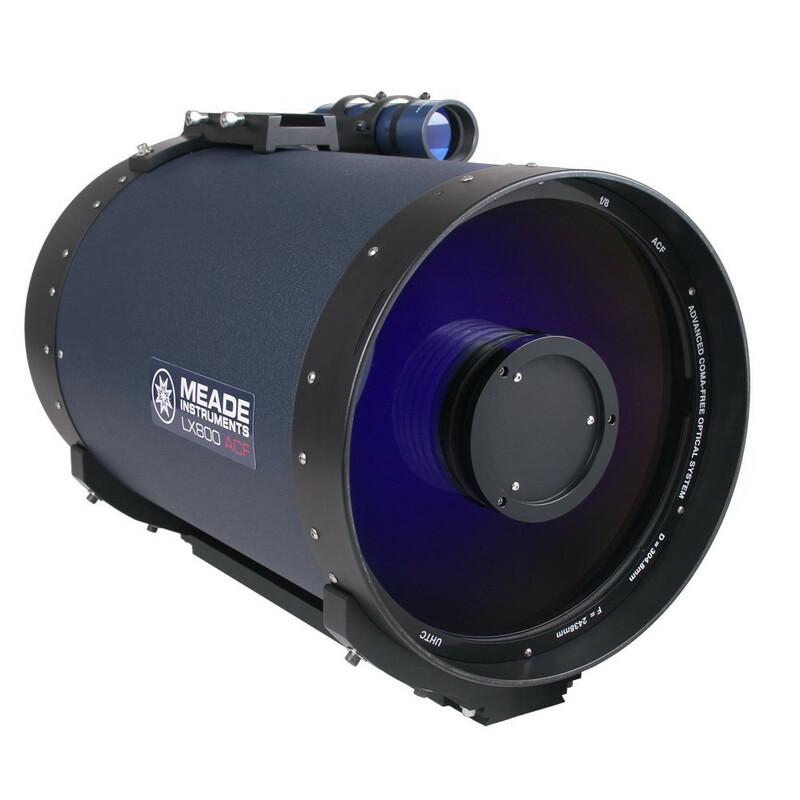 Meade's Advanced Coma Free (ACF) optical system renders f/8 brightness and pinpoint starlight, as well as minimizes diffraction spikes, astigmatism, and chromatic aberration. This new coma-free design combines a hyperbolic secondary mirror with a primary mirror and corrector lens that perform as a single hyperbolic element. 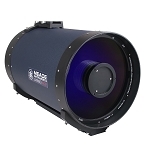 The ACF system is complemented by premium Schott glass elements that are finished with Meade's Ultra High Transmission Coating, which improves the light gathering ability of the optical system and preserves sharpness. 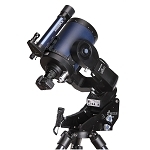 At a fraction of the cost, ACF optics produce a flat field of view field and color fidelity rivaling research-grade Ritchey-Chretien telescopes. Complementing the premium optics is the build-quality to last. 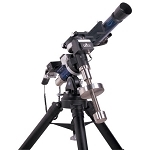 The ACF optical tube chassis is machined from a lightweight aluminum alloy that prevents expansion of the optics, reduces the strain on the telescope mount, and equalizes the temperature inside and outside the tube faster than other metals. An internal Crayford-style focuser offers dual speed electronic adjustment of the primary mirror and zero image shift of the observed field of view. Built into the OTA housing is a dovetail rail that enables novice-proof attachment to a Losmady dovetail mounting bracket. 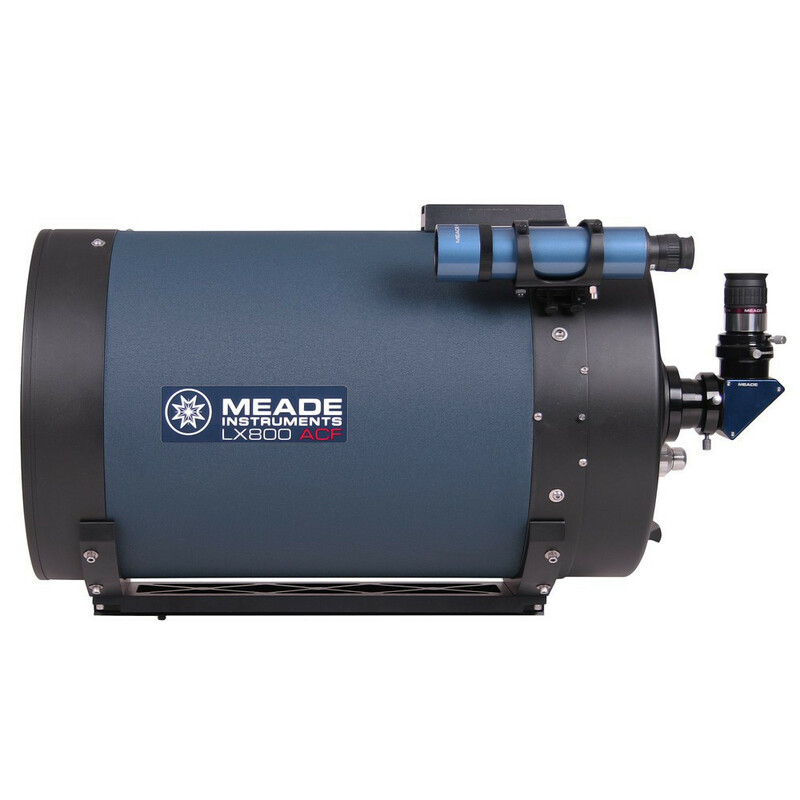 Meade's Advanced Coma Free (ACF) optical system is a refined Cassegrain design that produces a flat field of view that eliminates coma even at the edge of the observed field. 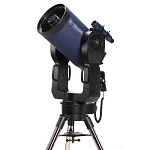 ACF optics render pinpoint starlight, reduces astigmatism and eliminates diffraction spikes—ideal for astrophotography and viewing with extreme wide angle eyepieces. Ultra-High Transmission Coating (UHTC) enhances light transmission across the entire visual spectrum and helps to render high-contrast images and remarkable clarity that is most evident during high-magnification viewing and long-exposure photography. Crayford-style internal focus system achieves zero image shift by electronically micro-focusing primary mirror using its dual speed, 7:1 reduction control, eliminating the need for a mirror lock and allowing quick focus adjustments. A lightweight aluminum alloy chassis reduces payload on the mount and offers excellent thermal stabilization characteristics. An integrated dovetail rail enables quick OTA mounting to a Losmandy dovetail bracket.